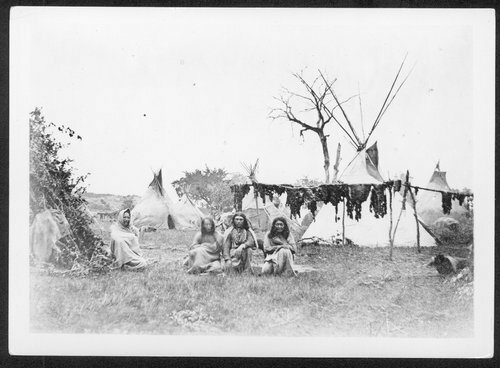 This is a photo of several Cheyenne Indians sitting in front of their lodges near Anadarko, Indian Territory. The original photo is at the National Archives. This photograph can be used to with others from this benchmark to show different types of American Indian housing. From the pictures, students can discuss why different groups chose different types of shelter.